Potheads & Stress Cone Leads – Hartline Supply Inc.
Pothead terminations are one type of cable connection that are used by many surface mines. They are rugged and durable. Connections are easily made in power centers and junction boxes. Stress cones are built inside the pothead and jumper cable is welded to the original phase leads inside the pothead. Stress cones are built inside the pothead using original phase leads. 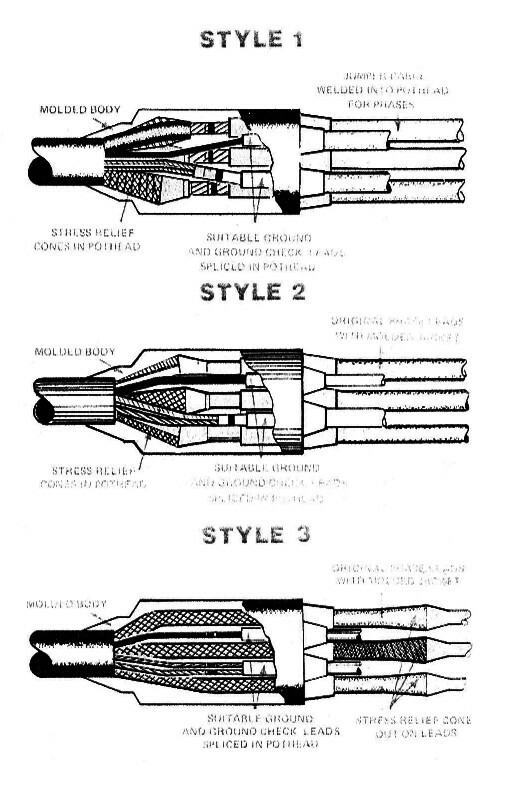 Molded stress cone leads are built on the original phases.